February 6, 2018, marked safe Internet Gabriel Commissioner for Digital Economy and Society launched an EU wide series of initiatives entitled #SaferInternet4EU. This means that throughout 2018 Internet safety campaigns and initiatives from across Europe will work with children young people, parent’s teachers and strive to empower communities to be responsible digital uses. Topics include critical thinking, media literacy and digital skills in a bid prepared for emerging online technologies to win the battle against issues such as fake news, online bullying, hate speech. The initiatives will federate efforts by different stakeholders at EU and national level, building on the existent EU co-funded network of Safer Internet Centres in 27 Member States, as well as Iceland and Norway. They will also remind internet users to take responsibility and keep the internet safe. By fostering resilience, skills and knowledge, young people will be able to navigate any online risks safely. A better internet will also empower citizens in this fast-evolving digital world and take full advantage of the enormous opportunities offered to them online. A new European campaign was launched on Safer Internet Day, 6 February 2018, to promote online safety, media literacy and cyber-hygiene, making children, parents and teachers more aware of digital opportunities and challenges. The ‘Strategy for a Better Internet for Children’ proposes a series of actions to be undertaken by the European Commission, Member States and by the whole industry value chain. The annual Internet Governance Forum (IGF) serves to bring people together from various stakeholder groups as equals, in discussions on public policy issues relating to the internet. Safer Internet Forum (SIF) is a key annual international conference in Europe where key stakeholders come together to discuss the latest trends, risks and solutions related to child online safety. The BIK Map was created to compare and exchange knowledge on policy making and implementation in the EU Member States on the themes and recommendations of the European Strategy for a Better Internet for Children (or BIK strategy). A European contest to reward high-quality resources and inspiring initiatives pursuing Better Internet for Kids objectives. An Open Online Course (MOOC) on child online safety with resources and activities for online learning in particular on fake news, cyberbullying and radicalisation. The focus of the initiatives are on young people providing them with a voice and active roles in shaping the online environment while also involving civil society, parents, carers, educators and there are also opportunities for any citizen in the EU to become a national internet safety ambassador. 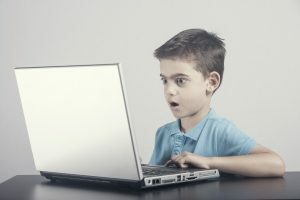 Half of all 11 to 16-year-olds have encountered one or more of the most frequent internet risks. Rapid technological developments create new risks emerge. Internet-connected toys can raise questions about safety, security, privacy and trust. 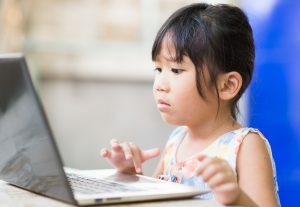 According to EU research parents reported that they believe that the benefits of children using online technologies far outweigh the risks. However concerns have been raised about cyberbullying, the sharing of personal details with strangers, and exposure to contents which is either inappropriate or can encourage children to harm themselves as well as the issue of radicalisation online stop. The EU also reports highlight that 51% of European citizens do not feel well informed or confident about emerging cyber threats and 56% of European citizens believe they are at risk of being a victim of cybercrime. Member states have been invited to make cybersecurity act priority within that awareness campaigns.